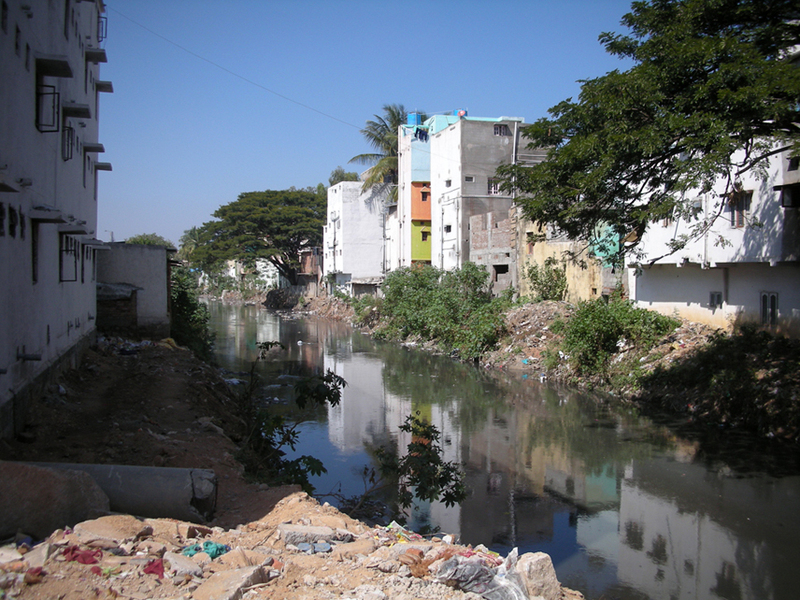 Essay in India: the Urban Transition – a Case Study of Development Urbanism, 2014. By the beginning of the 21st century, Bangalore had emerged as a global hub for software development, production and services, with most of the world’s leading IT companies being located there and two of the leading Indian IT companies being headquartered there. The city inspired the New York Times journalist Thomas Friedman to write The World is Flat. 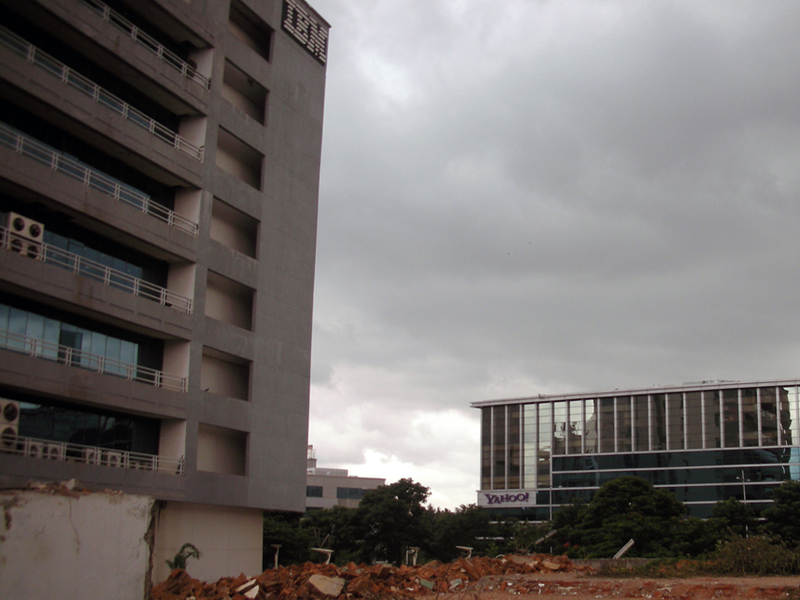 In his book from 2005, Bangalore epitomizes a new era of globalization powered by new infrastructures and technologies. Bangalore also plays a key role in the Triumph of the City, from 2011, authored by Harvard professor Ed Glaeser, who refers to it as one of the most successful cities today, on a par with London, New York and Singapore. I recently spent half a year in Bangalore and came away with a somewhat different understanding. Bangalore is one of the fastest growing cities in India and huge wealth is being generated there but few citizens benefit from it. 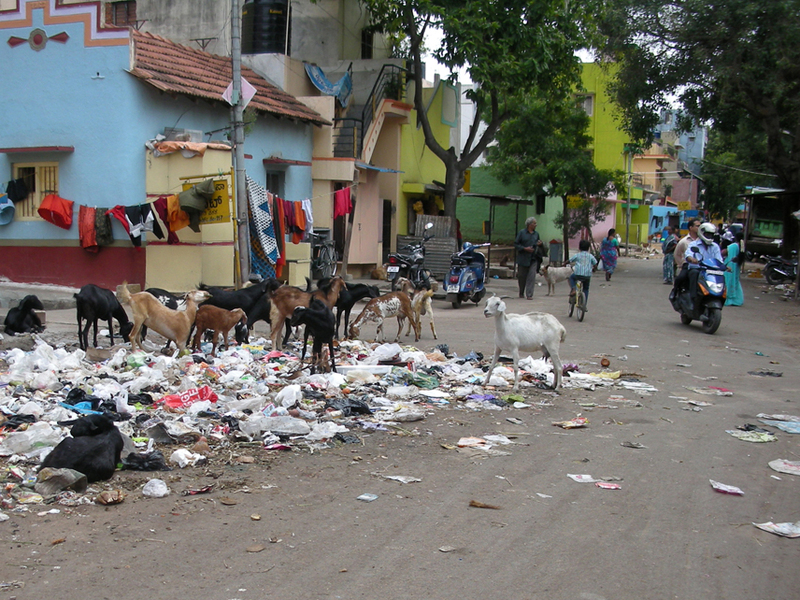 In fact, during the past decade, most citizens have witnessed a dramatic deterioration in the quality of life, as spaces for social activities have vanished, roads have become severely congested, pollution has reached alarming levels, crime – or the fear of crime – is widespread and garbage litters the streets. 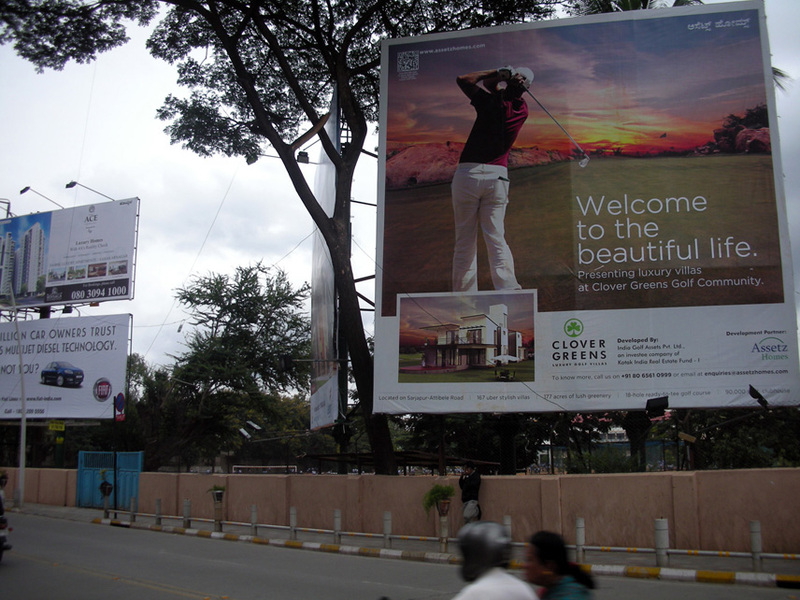 Until a few years ago, Bangalore was known as a “garden city”. Now it is beginning to be known as a “garbage city”. The problem, as I see it, is not the rapid growth of the city – Bangalore has been experiencing rapid growth since long before the IT boom – but that the very pattern of growth has changed, partly because of new lifestyles, economies and technologies. A cognate problem is that the challenges and opportunities related to this changed growth pattern and to the new lifestyles, economies and technologies have not been properly addressed. Thus, while I agree with Glaeser that “It makes far more sense to directly address the challenges of urban growth […] rather than to artificially constrain the expansion of mega-cities like Bangalore” – the problem is that, in Bangalore, it seems that there is nothing much that is being done to address those challenges. In fact, as a result of poor urban planning and management, the very same IT companies that are supposed to have made the city a success are now beginning to move away, many of them towards the new airport, some 30 kilometers north of the city centre, and some of them even to other cities. One major cause of the deterioration of the urban environment is the uncontrolled proliferation of motorized transportation. As more and more people move to the city and as the city continues to expand over an ever-larger land area, the need for transportation is increasing accordingly. Workplaces are now often located far away from affordable housing and public transportation is often inadequate and unreliable. People therefore have to find ways to travel longer distances on their own and in recent years many of these people have been able to – or have been forced to – switch from using a bicycle to using a motorcycle. 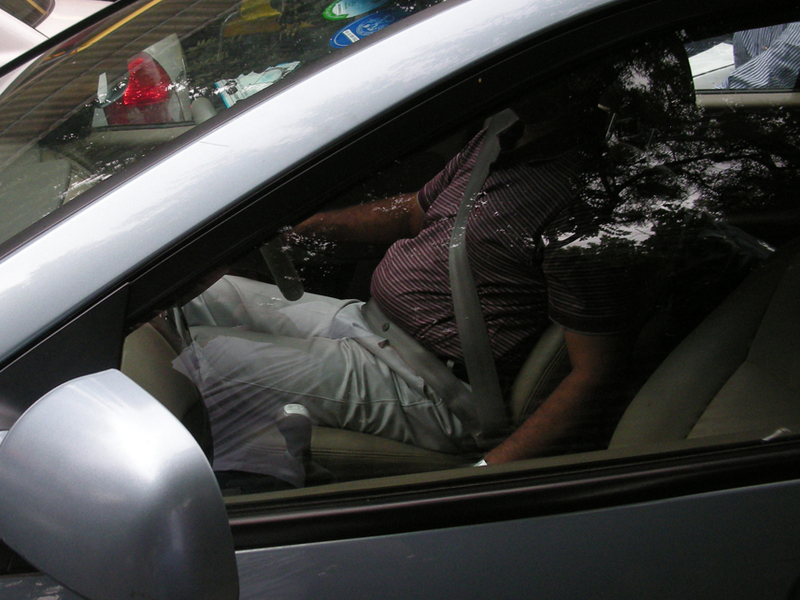 In addition, about a thousand new cars are being added to the roads of Bangalore each day. The result is severe traffic congestion, the disappearance of public space and pollution. I would usually wear a mask when I went outside! To alleviate the problem of traffic congestion, a new metro system has been planned and the first short stretch with six stations has been constructed. It meanders through some of the central areas of the city, on elevated tracks, above the noisy and polluted roads. From here, the city looks pretty nice! But there are relatively few passengers and most of them seem to enjoy the ride as an occasional excursion rather than as an everyday trip. This may, perhaps, change with the enlargement of the system. But for now, it doesn’t seem to provide much relief from the congested roads below. The enormous costs of the metro also render it dubious whether this is really an environmentally friendly solution at all because the “creation” of money to pay for this project has most likely caused pollution, ecological destruction and resource depletion in other places. A cheaper and more popular means of “public” transportation is the auto-rickshaw, which, in contrast to the metro, reaches all parts of the city. Bangalore has a huge fleet of auto-rickshaws, but unfortunately these vehicles are extremely polluting because the drivers – or the mafia that stands behind them – use a bad fuel mix/low quality fuel to save a few rupees. 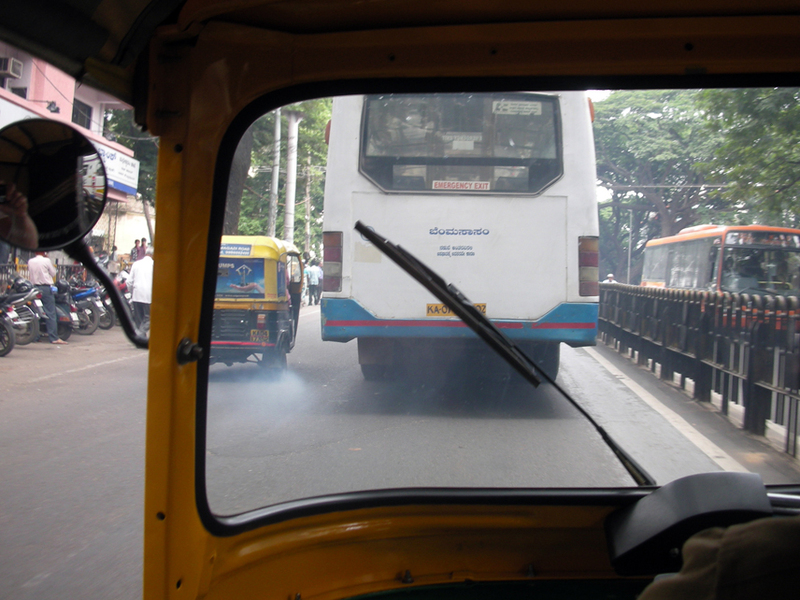 Auto-rickshaws are, however, not the only source of pollution in the city. Blue and black fumes are also being emitted from buses, trucks and even from new diesel-fueled cars. “Urban” ills may be on the verge of causing more human suffering than “rural” ills! While the attention, especially among international development agencies, has been focused on traditional “rural” ills, such as undernourishment and infectious diseases, nothing much has been done to check the “urban” ills like stress, pollution, social isolation and physical inactivity. Thus, while rural-urban migration, urban-rural remittance and development aid may have helped control the effects of – and the number of people affected by – traditional “rural” ills, urbanization, as it is being practiced in Bangalore and, I am afraid to say, in many other cities, is creating a wide range of new problems that adversely affect human health and the health of the environment. These are, however, not the only problems. The road between Bangalore, the capital city and the largest city in the state of Karnataka, and Mysore, the capital city of the former kingdom of Mysore and the second largest city in the state of Karnataka, some 140 kilometers away, is in a poor state. More than twenty years ago, a plan was conceived to connect these two cities with an expressway and to develop the land around it. This kind of corridor-development may be more environmentally friendly and resource efficient than traditional urban sprawl. But even though construction was initiated a few years later, only part of a ring road around Bangalore has been finished. The expressway itself ends a few kilometers outside the city, in the middle of nowhere. There are several reasons for this, including corruption, red tape and political rivalry. But the developer, Mr. Kheny, who had conceived of the project, may also have a vested interest in delaying work on the expressway, because the real profits are not seated in constructing the expressway but rather in developing the land around it. And this land that has been provided to Mr. Kheny by the government, which has expropriated it from the local farmers, has to be returned to the government within 30 years of the completion of the expressway. In addition, farmers, activists and others have been fighting the project with demonstrations and legal proceedings. 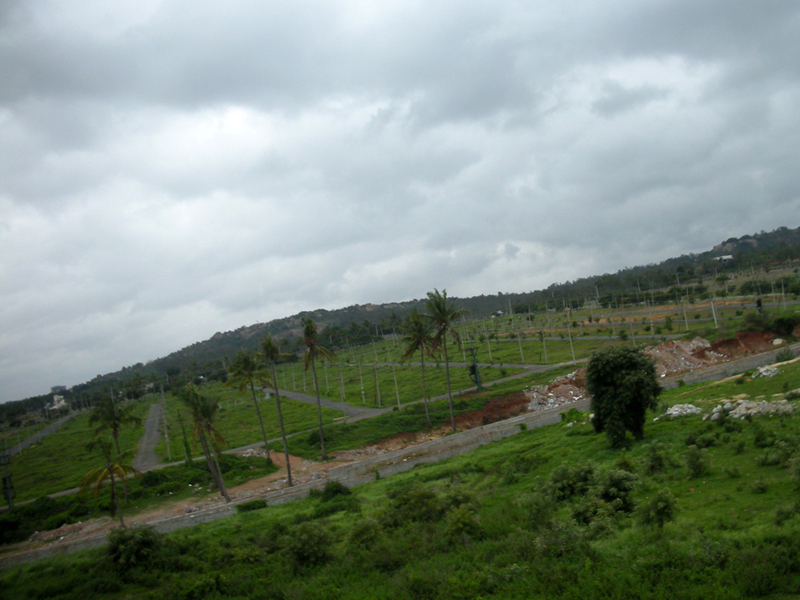 In one of these cases, over one hundred prominent people, including a former prime minister of India and three former chief ministers of the State of Karnataka, local politicians, high-ranking bureaucrats and businessmen, are facing charges for “land grabbing” of an area around the expressway of almost the same size as the entire city of Bangalore – a city of more than 8 million people! I had originally planned to make some research on this project together with researchers at the Indian Institute of Human Settlements and also to conduct a workshop about it at the institute. As things panned out, though, circumstances did not favor the implementation of the cooperation and nothing came out of these plans. Ashwin Karjatkar and Shraddha Kapri, who had helped me prepare the workshop, were not surprised that events took this course. They had been my students at Lund University and had come back to Bangalore the previous year, after three years of post-graduate studies, teaching and working in Sweden. I had read in the newspaper that there are about half a million architects, engineers and other professionals working in the real-estate business in India but that they need about ten times as many – or five million, in total. So you might think it would be easy for two talented and motivated young urban designers to find work in Bangalore. Unfortunately, that isn’t the case. Ashwin and Shraddha later decided to move to Singapore and are now working for an office there … on projects to be realized in India! 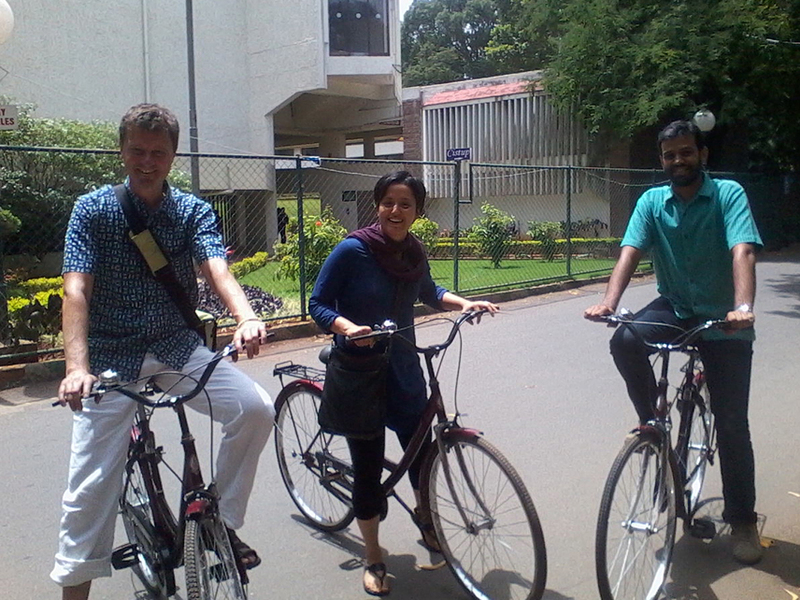 But before they went away to Singapore, the three of us had gone to the Indian Institute of Science and rented some bicycles in order to explore the campus. 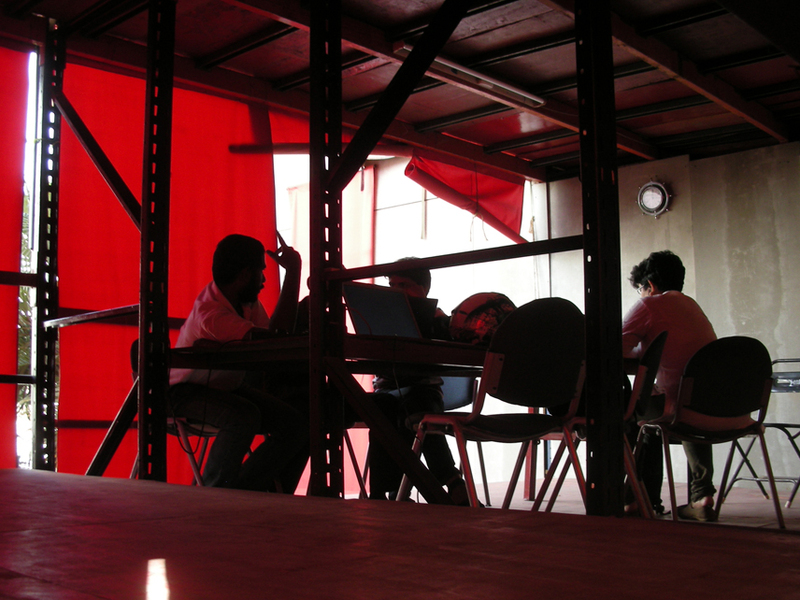 On returning, we met Murali, who had worked for one of Bangalore’s IT companies. He had been stationed in Paris when Vélib’, the new public bicycle sharing system, was launched in that city. Murali wanted to establish such a system in India and decided to quit his job in the IT industry in order to pursue a career as a “green” entrepreneur. The Namma Cycle project, as it is called, is a pilot-project, which is being carried out in collaboration with the Center for Infrastructure, Sustainable Transportation and Urban Planning (CiSTUP) on the campus of the Indian Institute of Science. It is a large green campus and even though the number of motor vehicles is increasing here, too, it still feels like a safe environment for cyclists. Another bicycle sharing system has been implemented at the new metro stations in the city but since there are no safe bicycle lanes around the stations, or anywhere else in the city, for that matter, this service is hardly used at all. Separate bicycle lanes might not have been necessary when most people were cycling and there were only a few cars driving around. 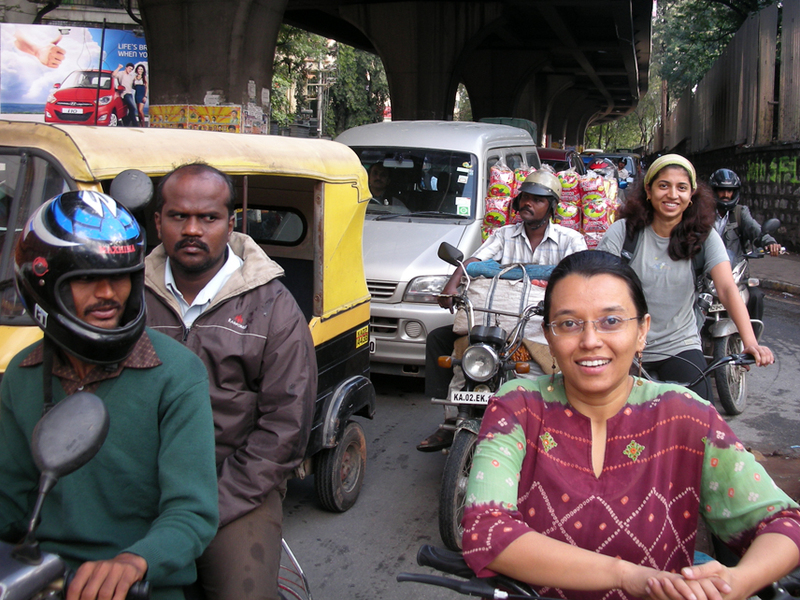 However, during the past few decades, the number of motorized vehicles in Bangalore has increased dramatically and riding around on a bicycle in the city is now quite dangerous. Not only because of the risk of accidents but also because of the air and noise pollution. I was told that only two percent of the inhabitants use a bicycle today. Since cycling has become the choice of the few, the people at CiSTUP are also trying to implement another “sustainable” transportation system that is called E-mobility. This system consists of small electric shuttle buses, which, if properly integrated with the Namma Cycle project, could provide a comprehensive transportation service that would conceivably render other motor vehicles on campus obsolete. Assuming that the small shuttle buses will be equipped with solar panels and will not be using electricity from the coal-fired grid, the transportation on the campus of the Indian Institute of Science could be virtually pollution free. Both systems – the Namma Cycle and E-mobility – are envisioned as being implemented in stages, with tests and surveys being conducted along the way, thus making it a learning process – perhaps for other campuses and cities, too. At CiSTUP, I also met three young researchers, Raddha, Kadu and Jaya, with whom I made a study to assess the potential benefits of revitalizing Bangalore’s nullahs (water canals). 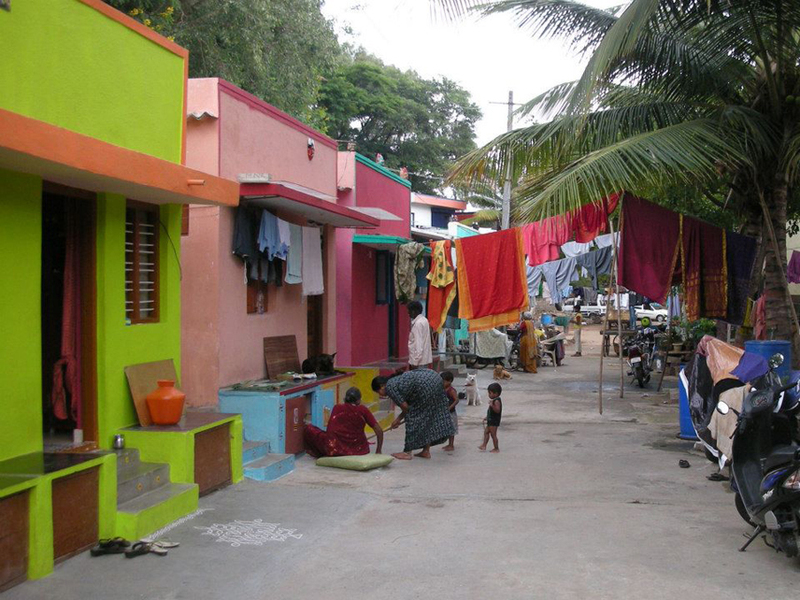 It is believed that Bangalore initially consisted of many smaller settlements. Each of these settlements accordingly had a tank (or lake) for rainwater harvesting. The tanks were located at different altitudes in the undulating terrain and were interconnected by wetlands, through which water from one tank could flow to the next, together with rich red loamy soil from the bedrocks. Water would be distributed according to the requirements of different crops that were grown at different locations. Each settlement would grow its own crops according to the quality of the local soil and the different settlements would then trade the different crops with each other. Because of the high level of interdependency between the many small settlements – in terms of both food and water – this kind of landscape has been referred to as “a continuous social landscape”. This, of course, has all changed with motorized transportation and gated communities, which give rise to what is rather a markedly discontinuous and anti-social landscape. During the British rule, the wetlands that connected the tanks were transformed into canals to increase efficiency and provide land for urban development. In recent decades, widespread urbanization and the disappearance of agriculture have led to the neglect of the nullahs. Many of them have been put underground into pipes or else they are being used for dumping garbage and sewage. While Bangalore is busy putting its nullahs underground, many other cities are trying to recreate canals that they had previously channeled into pipes. But doing that is obviously quite difficult and very expensive. In most cities, however, open water canals are no longer seen as a risk to human health. On the contrary, open water canals may be beneficial to cities and to the citizens, in terms of promoting healthy lifestyles and improving life quality, as well as being instrumental in climate change adaptation and eco-friendly development. Putting the nullahs underground will, of course, prevent people from dumping their garbage and sewage there, while simultaneously providing space for the construction of more roads. However, this will not necessarily solve the problems of waste and traffic congestion in the city. Rather, it may restrict opportunities for sustainable long-term solutions while the immense potentials of the nullahs may be lost forever. If, instead, the remaining nullahs were cleaned up, pathways for pedestrians and cyclists could be constructed along them. These pathways could form the basis for an alternative transportation network that could connect transit hubs throughout the city, thus enabling intermodal connectivity, living and work places, green areas and tourist sights. Cleaning up the nullahs – and maintaining them clean – could perhaps also provide livelihood opportunities for the poor people who live around them. The nullahs themselves could then be used as wildlife corridors and to improve biodiversity and prevent flooding. Surrounding areas could be used for recreational and entrepreneurial activities, where people from different parts of the city – and from different parts of society – could meet. Walking around in the slum areas along the nullahs made me aware of some striking differences between these areas and the area in which I was living myself. In low-income areas, the front doors of the houses are often left open and even though people seem to be busy, there is still a lot of social interaction. In the more affluent parts of town, people live behind bars and guarded fences, many seem to be idle and do not appear to be talking very much with other people. And the buildings that they inhabit, which have often been designed by architects, are usually quite dull, in contrast to the self-made buildings in the low-income areas, which are often highly innovative in their use of available materials and joyful in their use of bright colors and strange shapes. I don’t want to romanticize the slums but could it be that there are some lessons that the rest of us can learn from there? In fact, some people already have. A group of local artists have designed their own multi-storey building out of a simple storage system used in warehouses and other cheap materials. In combination, the simple system and the inexpensive materials make it easy to transform the building. During its short lifetime, the building has already seen several changes to its interior and one visiting American artist replaced an entire façade of the building with a living “green” wall. The building is called Jaaga, which simply means “space” in the local Kannada language. And like most slum areas, it is full of entrepreneurial activities and social interaction. And it is not only transformable. It is also moveable! Two years after it had been constructed, it was dismantled, moved and reassembled at a new location, a few kilometers away. While it is depressing to see a (very meticulous) catalogue of all the ways in which modern ‘progress’ and ‘urbanization’ are tearing apart the fabric of traditional living forever, it is also heartening to see an appreciation for these traditional ways & forms emerge from your experience. The question is whether this appreciation can be moulded into a compelling enough case/argument for an alternative future, because despite knowing this all our lives, we have failed to counter Euro-American-Soviet style modernity.